“The report identified the Nigerian National Petroleum Company, ranked the world’s least transparent state oil firm, as the key culprit. The firm was single-handedly responsible for almost half of the siphoned subsidy funds and was ‘found not to be accountable to anybody or authority’. Seventy-two fuel importers, some with allegedly close links to senior government officials, were also singled out. In one case, payments totalling exactly $6.4m flowed from the state treasury 128 times within 24 hours to “unknown entities”. 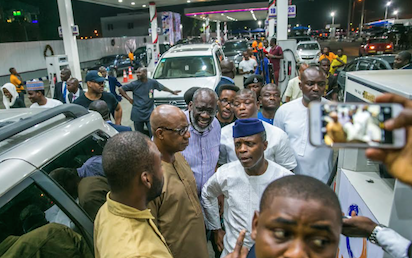 The post #FuelScarcity: Propose a bill on right to regular fuel supply, SERAP tells Buhari appeared first on Vanguard News.